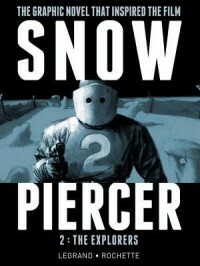 Snowpiercer Volume 2 is a bit of a misnomer, because it actually contains Volumes 2 and 3 of the story. It takes places after the first book, on another Snowpiercer train which having lost contact with the first one after the events of the last book, lives in fear of a collision with it. The book was better than the first and it has more in common with the movie than that one. But I don't think I would read it again. Again, some good ideas, but not my type of book.